When it comes to boosting the success rates of in vitro fertilization (IVF), there are a lot of myths as well as truths to the matter. One fact, however, remains a steadfast fact: the healthier a woman is, the better her chances are of a successful pregnancy. It therefore stands to reason that a woman’s weight - or, more specifically, her BMI - can play a role in the IVF process and ensuing pregnancy. Being underweight or overweight can both be a detriment to one’s health, thereby weakening one’s chances of IVF success. In order to approach the process knowledgeably and bolster your odds, consider the following information on the relationship between IVF and weight, as offered by our Lubbock fertility clinic. When speaking on matters of weight and health, what most people really need to consider is BMI, or body mass index. This number is a calculation of a person’s weight relative to his or her height, as presented within a range of body types. For instance, a BMI of 18-25 is considered “normal” or healthy, as it is not underweight nor overweight. BMIs over 25 are generally considered overweight, with those over 30 being obese and over 40 being extremely obese. Although BMI calculations are not always accurate, particularly when muscular builds are disproportionately heavy, they are often a good snapshot of someone’s health in regard to his or her weight, and can therefore be useful in exemplifying the relationship between IVF and overweight patients. It is generally accepted that being overweight prior to pregnancy heightens the chances of complications during the pregnancy or birth. This alone should be good motivation for expecting mothers to stay in shape. Moreover, though, there is evidence that overweight women may have greater difficulty conceiving in the first place, even with the aid of IVF. Egg viability: A study in 2012 found that overweight women had a greater amount of malformed eggs. Healthy eggs contain a single spindle attached to a pair of chromosomes; whereas 35 percent of eggs from normal-weight women had multiple spindles, 60 percent of eggs from obese women were considered malformed in this way. Even as IVF seeks to use the healthiest possible eggs and sperm for implantation, only so much can be done with the available eggs of a prospective mother. Ovulation: Additionally, overweight women may experience greater difficulty in regulating their ovulation cycle. 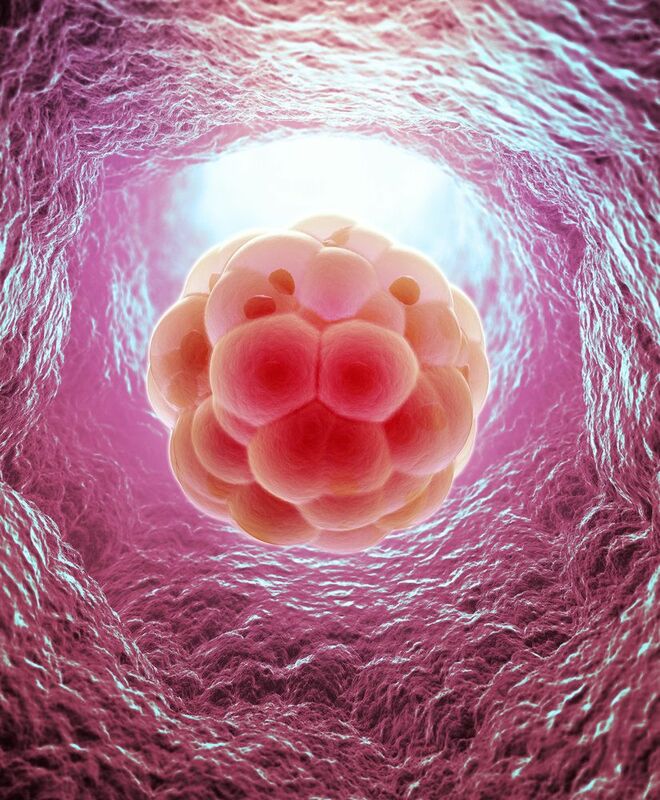 Before harvesting eggs for IVF, a women is given medication called GnRH antagonist, which prevents early ovulation. The greater a woman’s weight is, however, the less likely she is to have a normal response to this medication. An increased dosage or regimen may be necessary to achieve comparable effects, and even then, the initial retrieval of eggs may not be as reliable. Egg retrieval: Obese women may experience difficulties with IVF simply because of the placement of their ovaries. That is, fatty tissue tends to push the ovaries higher up in the body, potentially making egg retrieval difficult. This tissue can also obscure the clarity of ultrasounds, making it difficult to clearly distinguish the ovaries and eggs within. Obviously, the most direct and effective way to improve your success with IVF (insofar as weight is concerned) is to maintain a healthy diet and exercise regimen, keeping BMI within a relatively normal range. Simply put, healthier patients make for the most successful IVF experiences. Still, if you are having trouble controlling your weight and are experiencing fertility problems because of it, it may be worthwhile to consider donor eggs. This is not always an ideal option, considering many women hope to use their own eggs for the embryos, but when facing infertility or past failed attempts with IVF, healthy donor eggs can offer new hope. Of course, any such decisions will be made after careful deliberation between patients and their partners, as facilitated by our fertility professionals. IVF success depends on many factors. Contact us to schedule an appointment at our clinic and find out more about your fertility options.